Posted on October 6, 2017 by treelawyer	tagged. 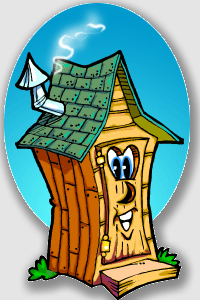 Seems like it was only 80 years ago or so when Grandpaw emerged from his outhouse one day to find a couple of duded-up flatlanders standing on his little piece of Tennessee hillside. They had some kind of deed full of fancy writin’, and they told him if he signed it, they’d string some wires on poles across the place, and he’d have electric lights just like the big city folks. That sounded like a pretty good deal to Grandmaw, who was good and tired of hand pumping wellwater, cooking on a stove and buying ice whenever the iceman decided to cometh. She made Grandpaw put his ‘x’ on the dotted line. The flatlanders were as good as their word. They ran some wooden poles and a couple of wires over the homestead, and pretty soon, Grandmaw had her Frigidaire and electric stove, Grandpaw had an electric light in the privy, and life was grand. The flatlanders from the Tennessee Valley Authority sold Gramp power at dirt cheap rates, and only appeared once every couple years or so and trimmed back a few trees under the wires. Some time in the 1960s, crews came in and replaced the poles with gigantic steel trussed transmission towers on concrete pads. They cut a bigger swath of timber, removing trees under the towers and a few feet to either side. Grandpa and Grandma were pretty unhappy about it, but they were quite old and didn’t know what to do. You checked things with a lawyer, who told you that TVA had an easement from your grandparents, and was within its rights. Time marched on, your grandparents went to their reward, and your inherited the old place. You tore down the rambling farmhouse and replaced it with a beautiful log home, a rustic but modern weekend getaway. You like sitting on the porch and looking out over the hills and woods. Every so often, a TVA tree trimming crew would stop by, and trim back a few trees near the power lines. You assured them that they didn’t have to worry about the mature trees beyond about 25 feet, because you’d look after them yourself. Then, about 500 miles north northeast of your idyllic retreat, an overtaxed transmission line sagged in the August Ohio heat, and arced to a nearby tree. The cascading errors and failures that followed plunged the northeastern United States into darkness that lasted in some places for several days. 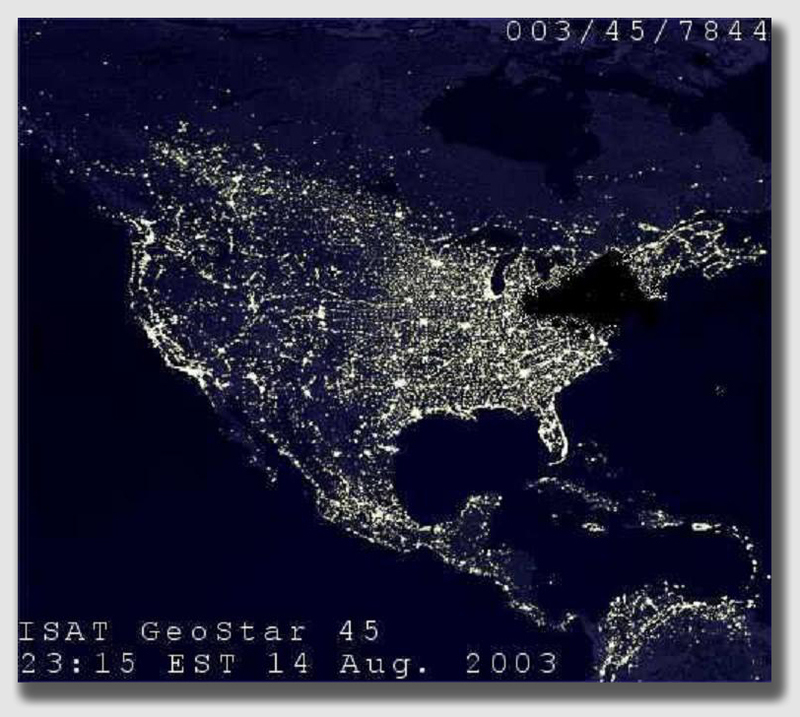 Several years after the blackout, the North American Electric Reliability Corporation (NERC) – a government-certified industry organization that sets reliability standards for the transmission of electricity – established tougher rules for vegetation management around electric transmission lines. Electric utilities faced hefty fines if they did not vigorously maintain their rights-of-way under transmission lines. In 2012, you got a letter advising you, among other things, that TVA would no longer allow taller, incompatible trees within its rights-of-way, even if landowners say they will control tree height, and that it would be removing –sometimes extensively – incompatible species from its rights-of-way. Any tree that could grow more than 15 feet high at maturity would have to go. When you found out that the new vegetation management policy will result in TVA cutting down more than 200 trees, you decided to take action. That’s what Donna Sherwood and a host of neighbors did, suing TVA in U.S. District Court. They argued that TVA had improperly classified the so-called 15-foot rule as routine maintenance which was exempt from the National Environmental Policy Act. In fact, Ms. Sherwood contended, the new 15-foot rule would essentially denude 260,000 acres, a square of land over 20 miles to a side. Besides, Ms. Sherwood argued, TVA didn’t have the right to remove trees in its right of-way that did not interfere with or endanger the transmission lines. The District Court threw out the case, holding that TVA had complied with the NEPA and that the easements clearly encompassed removal of timber. The plaintiffs asked the court to submit the easement interpretation issue to the Tennessee Supreme Court, a procedure known as certifying a question. The District Court ruled that it didn’t need to certify the question, because state law was well settled. The easements pretty clearly gave TVA the right to clear trees from its rights-of-way. The Court of Appeals reversed the District Court, but the decision didn’t give the neighbors much comfort. The appellate court held that record did not show that TVA had complied with NEPA, so the case was sent back to the District Court to compile the record. But on the crucial issue, the Court held that crucial Federal interests, as well as Tennessee law, supported a reading of the old easement Grandpaw created to encompass the 15-foot rule, and clear-cutting a swath as wide as the limits of the easement (in some cases, 200 feet). The likelihood that NEPA would stop TVA is about as likely as your electric bill falling by 50%. That being the case, Ms. Sherwood is undoubtedly scratching her head with gleeful puzzlement that TVA announced after the appellate decision that it would abandon the 15-foot rule without further litigation. The neighbors won… but the matter wasn’t settled in court. That means that come the next blackout, the chainsaws could be unleashed again. Sherwood v. Tennessee Valley Authority, 590 Fed.Appx. 451 (6th Cir. 2014). The Tennessee Valley Authority (TVA) provides electric power to consumers in seven states across the Southeast. 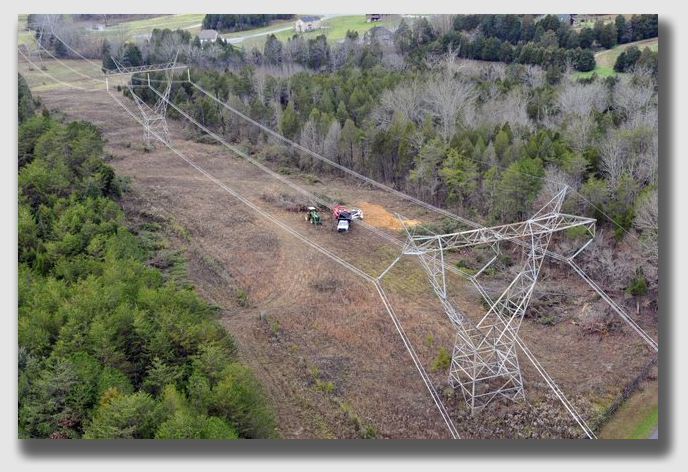 In order to reliably deliver that power, TVA maintains the vegetation under and around its power line structures. Historically, TVA has removed all trees directly under its power lines, but did not cut down all of the trees in what TVA called buffer or border zones, the edges of the easements TVA possesses. Over the years, TVA acquired easements that are typically between 75 and 200 feet wide. Built within those easements are approximately 15,900 miles of power transmission lines. Those easements permit the TVA “the perpetual right to enter” and “to erect, maintain, repair, rebuild, operate, and patrol” electric power transmission lines and all necessary appurtenances. As well, the TVA is granted the “right to clear said right-of-way” and keep the right-of-way clear, including brush and trees. TVA has established a vegetation-management program for its easements. TVA maintains the easements by keeping the area beneath the transmission lines clear, while leaving a narrow buffer zone on either side of the easement. The sectors are on five-year cycles for tree removal and three-year cycles for mowing or spraying the undergrowth. Although the TVA has been maintaining the vegetation in its easements for more than seventy years, it has not removed all of the taller, mature trees located within its rights-of-way. 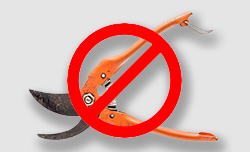 Its right-of-way specialists have been afforded discretion in deciding which, if any, trees to remove. Budget constraints have further restricted the discretion afforded the specialists. As a result, many tall trees remain standing within TVA’s easements. TVA has also made exceptions when landowners have promised to control the height of the trees. After the August 2003 Northeast U.S. blackout, the wisdom of allowing these taller trees to grow within electric transmission line easements was called into question. In 2007, NERC established rules for vegetation management around electric transmission lines. TVA altered its vegetation-management practices in order to comply with the new NERC rules and to avoid paying fines and penalties. TVA may allow low-growing species (less than 15 feet at mature height) to be planted in the within the right-of-way, but not directly under transmission lines, but express TVA approval would be required in each case. It would no longer allows taller, incompatible (species that exceed 15 feet mature height) trees within its rights-of-way when requested, even if landowners promise to control tree height. TVA would remove all incompatible species from its rights-of-way. Donna Sherwood and her neighbors sued, arguing that TVA’s new policy would result in the removal of millions of taller, older, mature trees from TVA’s rights-of-way. They argued that TVA had failed to conduct the required NEPA studies before implementing this new rule. The plaintiffs have submitted evidence showing that TVA identified more than 200 trees for removal from plaintiffs’ properties. The plaintiffs submitted evidence of the environmental consequences of removing tall, mature trees from the easements. The district court granted TVA’s motion to dismiss the plaintiffs’ claim that TVA had exceeded the scope of the easements, denying the plaintiffs’ motion to certify a question to the Tennessee Supreme Court. After reviewing the record, the district court held that TVA had not established a new policy, and was acting consistent with the maintenance policy that had been in place for the past fifteen years. Finally, the district court held that TVA’s 2012 vegetation-maintenance policy was not arbitrary or capricious. Held: The plaintiffs’ request that the District Court certify a question of state property law to the Tennessee Supreme Court was rejected. However, the record showed that TVA had not adequately considered the environmental consequences of its new 15-foot policy, so the case had to be sent back to the District Court. As for the NEPA claim, the Court of Appeals held that the administrative record submitted by TVA did not consider the environmental consequences of the 15-foot rule. The Court held that the plaintiffs were alleging that TVA’s alteration of its vegetation-maintenance practice – the removal of all trees over 15 feet, as well as those trees that will grow to a height over fifteen feet – constituted a major federal action under NEPA. The TVA must compile an administrative record for the decision it made that is being challenged by the plaintiffs, in order for the court to evaluate the decision’s propriety under NEPA. As for the scope of the easements, the Court of Appeals agreed with the District Court that “[b]ecause federal interests are sufficiently high in this matter, the easements are governed by federal law, not state law.” When the United States is a party to a lawsuit, and the underlying activities arise from a federal program, the federal interests implicated may warrant the protection of federal law. The Court said that nothing in the language of the easements, explicitly or implicitly, limited TVA’s right to clear trees from the right of-way. Thus, although the NEPA issue remained to be litigated on remand, the easements were broad enough to clear-cut the full width of the easements, regardless of prior practices or the landowners’ opinions as to what was necessary to protect the transmission lines.